This recipe reminds me of an oatmeal raisin cookie, but with pancake consistency. In a large bowl, combine oats and buttermilk. Let stand for 5 minutes. In a small bowl, combine flour, sugar, baking powder, baking soda, cinnamon and salt. Stir dry ingredients into wet ingredients until just moist. Stir in raisins. Heat a nonstick griddle coated with nonstick spray. 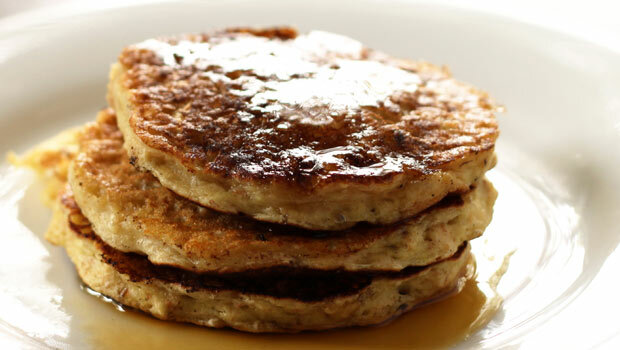 Drop batter by ¼ cupfuls onto hot griddle. Cook until bubbles form on the top. Flip and cook until golden.